The single best way for you, the parent, to help pay for your child’s college is to simply save and pay for it directly. Parents who start a college fund when their children are infants are in a better position to pay for school. Start saving today and make it easier on your budget! 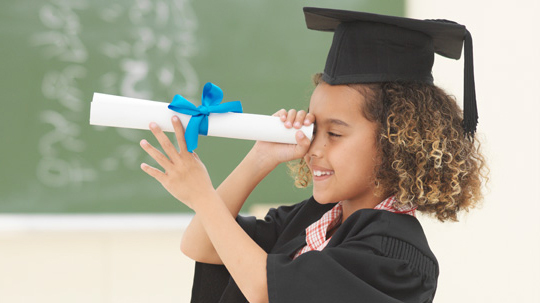 You can start by setting up a 529 College Savings Plan. When saving in a 529 plan, the money inside will grow tax free, and can be withdrawn tax free for educational purposes. New benefits for veterans’ dependents. If you are a veteran, spouse, or dependent of a veteran, a federal law that went into effect July 1, 2015, makes you eligible for in-state tuition everywhere in the country! According to the College Board, the average in-state tuition and fees in 2013-14 at public colleges was $8,893, compared with $22,203 for out-of-state tuition and fees. These are two very different sums of money, and everyone loves to save! See if you qualify for this benefit as soon as you can. Always fill out a FAFSA. A FAFSA, or Free Application for Federal Student Aid, determines your family’s eligibility for federal grants and loans and also alerts you to benefits from state government, college financial aid offices, and many private scholarships. It is important for you and your child to sit and apply for as many grants and scholarships as possible. Apply for merit-based aid and scholarships. If your child has the grades to support an application for merit-based aid, you should apply. It costs nothing but the time to write a short essay. Apply for as many scholarships as possible – even those that are small can add up to cover books or travel costs. Every penny counts when it comes to paying for a college education, and scholarships are a great source of funds. Government-backed loans generally have lower interest rates and allow you to reduce your payments or stop paying for a little while, if necessary. If you have questions on 529 plans or financial planning for college expenses, give us a call. We’d be happy to sit with you to discuss your best options.